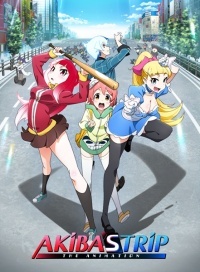 Akiba's Trip is a video game series by Acquire. Nanashi can bathe with his little sister Nana. He will get his back washed during a Furo session by her while she is Singing. In another scene they will both share a Bath in a Skirted Bathtub where she will sing as well. Arisa Ahokainen takes an Off Screen Shower and is accidentally peeped at by Tamotsu Denkigai who opens the Shower Curtain. She wears a Towel for the rest of the scene and it drops. There is a Money Bathing scene in Bathrobes. This page was last modified on 6 April 2017, at 11:54.